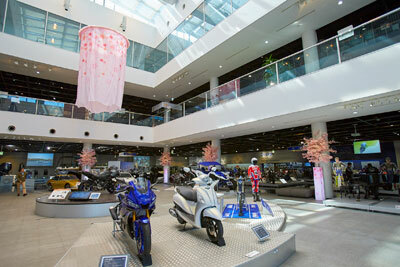 Events Guide - Communication Plaza | Yamaha Motor Co., Ltd.
Information on events to be held at the Communication Plaza. Word of the sakura cherry blossoms beginning to bloom across Japan comes every year in early spring, bringing joy and anticipation to many. To coincide with this year’s sakura season, you’ll find sakura-colored decorations adorning the Symbol Zone, and various displays around the Plaza have also been changed. As spring begins to bring a warmer sun that changes the colors back to green and an earthy fragrance starts to fill the air, please join us at the Plaza for a weekend with music. Admission is free for both events. A mini-concert will be held by Bacchus, a band made up of volunteers that have all performed individually for many years fueled by a love of electric guitars and their sound. The concert will feature classic pop hits and nostalgic vocals by artists like Takeshi Terauchi (Terry) & Blue Jeans and The Ventures, serving up an enjoyable demonstration of the unique and powerful sound of the electric guitar and the requisite skills needed to play one. From small children to adults, cocoliebe is a music school in Fukuroi, Shizuoka Prefecture that offers lessons tailored to each student based the motto of learning music in a fun and free-flowing way. 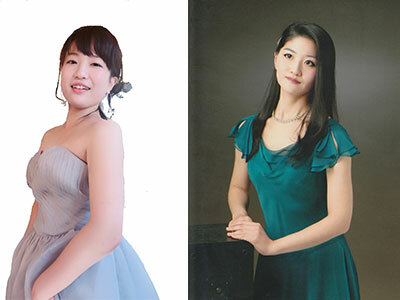 Besides running the school, its two instructors also hold duet concerts outside the school to communicate the joy of music. Their concert at the Plaza will feature numerous select songs from Disney and Ghibi films, and when delivered with the skills of a professional pianist and vocalist in perfect harmony, they are sure to delight your friends and family.